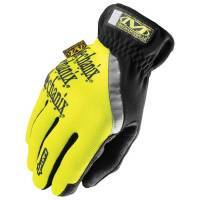 Since 1991, Mechanix Wear gloves are for more than just racing, they are for tool boxes everywhere. Pit Stop USA is The Online Motorsports Superstore! 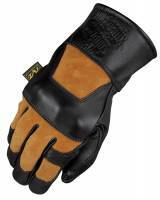 Back in 1991, Mechanix Wear knew right away they had a good thing going with Mechanix Wear® Gloves. 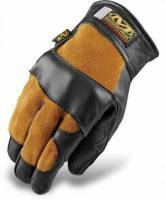 From the first use of Mechanix Wear® "Original" Gloves by pit crew teams at the 1992 Daytona 500, Mechanix Wear® gloves have been the leader in the high performance work glove market. Before they knew it, Mechanix Wear® had 41 NASCAR® teams asking for Mechanix Wear® gloves along with just about every other high profile motorsports team in every type of racing! 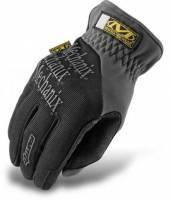 Every Mechanix Wear® product represents a total commitment to its intended use. Whether you're jumping the pit wall at Daytona or just doing a little tune up in the garage, you can have complete confidence that Mechanix Wear® products offer you the best protection in the industry. 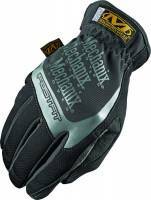 Mechanix Wear® gloves are for more than just racing, they are for toolboxes everywhere. Mechanix Wear® offers Mechanix Wear® Original Gloves, Mechanix Wear® M-Pact® Gloves, Mechanix Wear® M-Pact® 2 Gloves, Mechanix Wear® FastFit® Gloves, Mechanix Wear® M-Pact® Fingerless Gloves, Mechanix Wear® Original Plus Gloves, Mechanix Wear® Original 0.5 Gloves, Mechanix Wear® Light Gloves, Mechanix Wear® Original Grip Gloves, Mechanix Wear® Original Vent Gloves, Mechanix Wear® Original Cold Weather Gloves, Mechanix Wear® Original Womens Gloves, Mechanix Wear® M-Pact® T/C Gloves, Mechanix Wear® M-Pact® T/M Gloves, Mechanix Wear® Happy Hour Gloves, Mechanix Wear® Fabricator Gloves, Mechanix Wear® Team Issue Gloves, Mechanix Wear® Original Carbon X® Gloves, Mechanix Wear® Team Issue M-12 Carbon X Gloves, Mechanix Wear® Team Issue M-16 Carbon X Gloves, Mechanix Wear® Cotton Gloves, Mechanix Wear® Heat Sleeves, Mechanix Wear® Support Belt, Mechanix Wear® Team Issue Knee Pads, Mechanix Wear® Shop Apron and Mechanix Wear® Radio Belt. 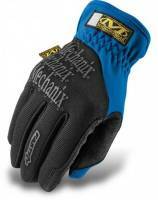 We feature Mechanix Wear® products at low everyday prices.